Premium badges have long dominated the large SUV segment, but the smaller, crossover end? Not so much. In the last few months, however, three new contenders have arrived to change all that. 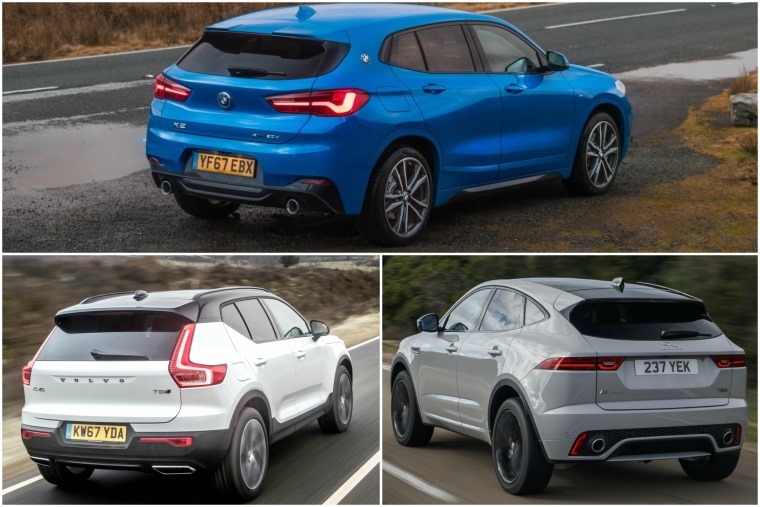 The BMW X2, Jaguar E-Pace and Volvo XC40. This trio are set to be the cream of the crossover crop, but which one is best? Think about it: crossovers are not really designed with practicality in mind. They might masquerade as family-orientated vehicles and offer slightly more versatility than a hatchback, but their huge popularity is primarily down to looks. But rather than the full-size SUVs these respective manufacturers already make, a smaller crossover derivative must offer a different kind of appeal. Happily, these three delivers in spades. Take the Jag. It shouldn’t be considered a downsized F-Pace by any means. Rather than creating a miniature carbon-copy of the larger car, it borrows styling cues from the F-Type sports car instead: quite a fresh way of doing things. It’s the same story with the Volvo. 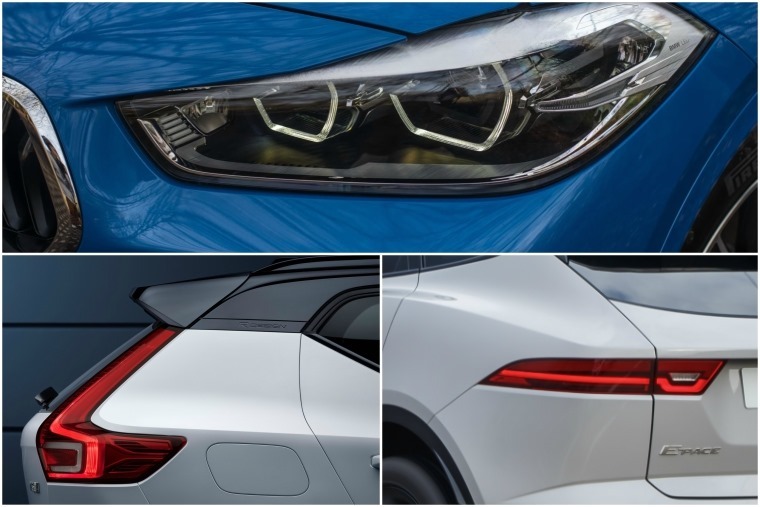 Although the stacked tail light design immediately makes it obvious it’s a relation of the XC60 and XC90, it’s shorter and more compact. Fewer edges. It pulls of Swedish cool in a fresh way. And what about the X2? This is quite possibly the first BMW SUV to not look terrible? As the name would suggest, it nestles between the X1 and X3 – both of which don’t really have the sporty air BMW is traditionally associated with. The X2 addresses this with a high shoulder line, a squatted stance. Given these cars’ badges and their £30k+ list prices, it’s a foregone conclusion that they’ll offer something lowlier marques can’t. 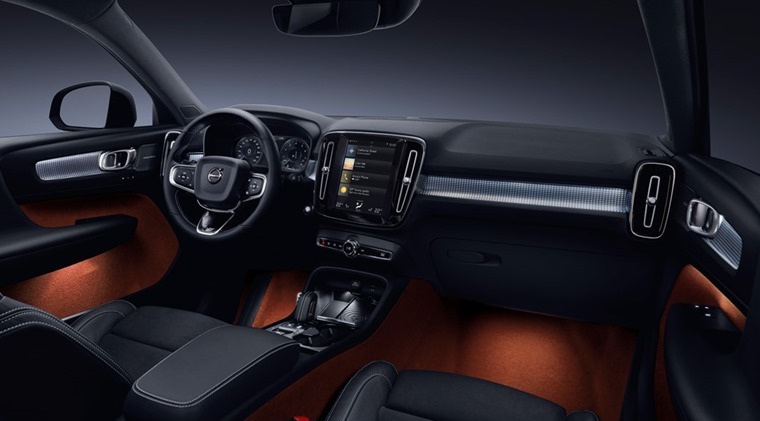 Inside the Volvo, things are as cool and clean-cut as that suave exterior. 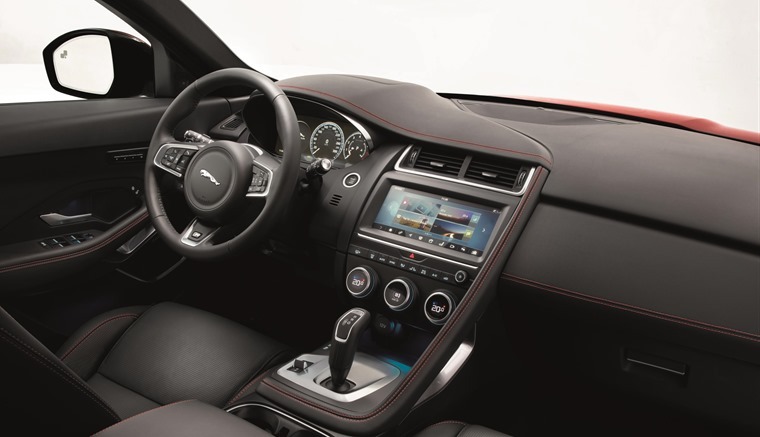 As the largest car here, the cabin is large and airy, while the focal point of the interior is that 9in portrait infotainment system. Although all the models exude an air of quality, but it’s R-Design models that stick out above the rest thanks to slick aluminium trim, and a very plush leather interior. The E-Pace, on the other hand, isn’t quite so impressive. It makes a good enough stab at being a premium car, but it’s let down by the plastics which, compared to the other cars on this list leave a little to be desired. Make no mistake, it feels more special than a Qashqai, but it has neither the premium cool-factor of the Volvo or the sporting appeal of the X2. The BMW is as appealing as the Volvo, but for a very different reason: before you even start the engine, it feels like it could actually offer an engaging drive – a rare commodity in the crossover market. 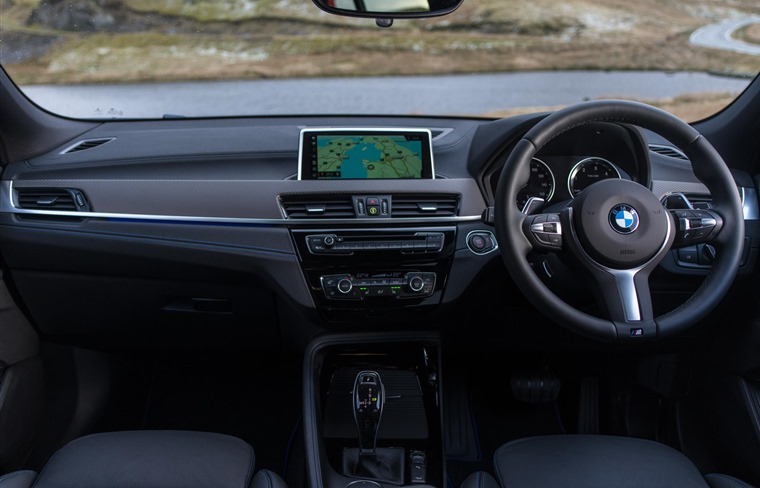 Ergonomics, as always from BMW, are fantastic, while its excellent iDrive infotainment system is the pick of the bunch in the tech stakes too. Their jacked-up body style makes crossovers inherently top heavy and, as a result, often less enjoyable drive than a hatch or saloon. These three go the furthest yet to offer the keen driver a crossover that’s worthy of a twisty backroad. One stands out above the rest, though. The Volvo is the most unengaging of the three in this domain. Its charm lies elsewhere. Where you’ll find flappy paddles behind the BMW’s and Jag’s steering wheel, the Volvo doesn’t have any – a sure sign it’s meant with comfortable cruising in mind. This is further emphasised by the optional £1,400 Pilot Assist package, which aims to take the stress out of a journey completely thanks to its semi-autonomous capabilities. Switching from the XC40 to the E-Pace, the Ingenium diesel engine is nowhere near as refined as the D4. Its biggest issue is its weight. The heaviest car here by quite a margin, it does blunt performance a little. If you can put up with the clattering soundtrack, the E-Pace does boast supremely supple ride quality. Dynamically, the X2 is what exactly what you’d expect from a company that claims to make the Ultimate Driving Machine. A quick B road blast confirms that it beats the other two hands down behind the wheel. The eight-speed gearbox is the best of the bunch and, mated to even the 2.0-litre diesel, offers up instant acceleration. Accurate steering isn’t numb like the other two and, for BMW standards, it offers a composed ride too. Even if it’s a little harder, for driving pleasure the other two lag behind. All three of these cars are built by manufacturers that also make cavernous cars, so we’ll get this out the way right now: these don’t offer the last word in space and practicality. That said, they can easily masquerade as a family vehicle, but which has the most space? The Jag gets 425 litres of boot space making it the smallest here. Next up is the Volvo, with 460 litres while, quite surprisingly, the BMW gets the largest load area with 470 litres of space. It’s not all good news though, because aside from their boots, the Jag and Volvo are much better prospects for families thanks to properly usable rear passenger space. Below, we’ve pulled together some *leasing rates to give you an idea of how much you’ll need to have one of these three premium products grace your driveway. We’ve included the average price for the diesel derivatives on test here, as well as what’s on offer at the lower end of the scale (hence the differing trim levels). 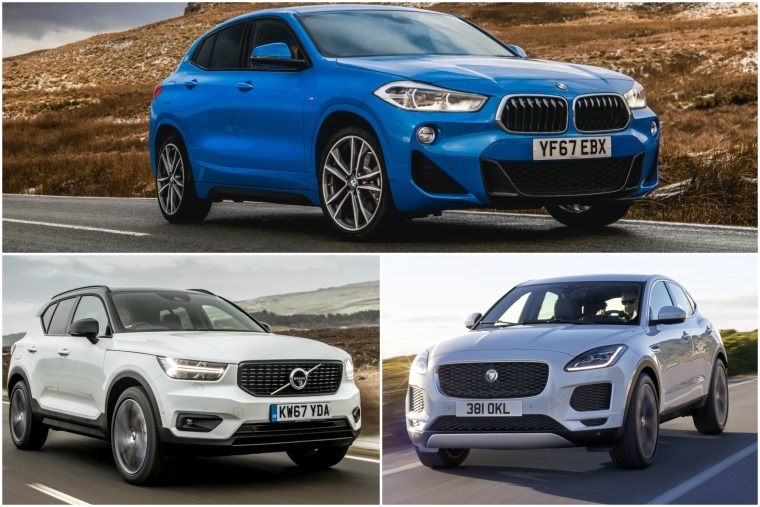 Here we have three cars that inject a much-needed bit of sophistication to the burgeoning crossover market and all of them have their plus points. For the Volvo, those are the same ones that make the larger XC60 and XC90 great. It’s premium, but not in a showy way. Those rates make it a serious temptation, too. What about the Jag? Well nicking looks from F-Type did it a whole bunch of good but, while ride quality and decent economy appeals, those rough diesel engines and slightly lesser build quality let it down. So, the BMW. Yes, lease-wise it is the most expensive and, while it has a bigger boot than the others, as a family car it’s not all too practical either. It is, however, the best to drive by a country mile. While a low-slung 3 Series Touring will always be more engaging – and more practical for that matter – if you have your heart set on a crossover and don’t want to sacrifice having a bit of fun behind the wheel, the X2 could be the car for you.